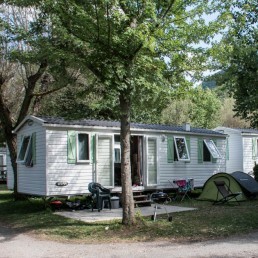 Welcome to our 4-star Les Prades campsite at the heart of the Gorges du Tarn, situated 380 metres above sea level, not far from the Millau Viaduct. 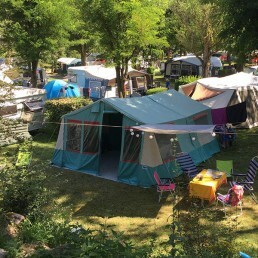 Our campsite is ideal for those holiday makers looking for the peace and quiet of the French countryside, combined with a warm welcome. Whether you plan to come with your partner, your friends or your entire family, Les Prades offer you an unforgettable break. 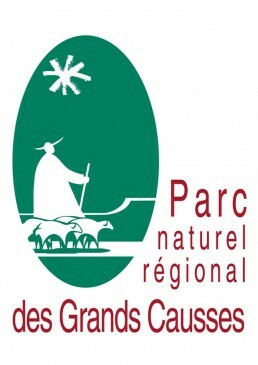 Make the most of the spectacular scenery of the Gorges du Tarn whilst enjoying a multitude of outdoor activities. whatever your level. Climbing, walking, mountain biking, water sports and much more are on offer. It’s impossible to get bored ! ! Make the most of our indoor pool area ! 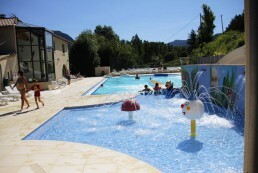 The pool has undergone a complete make-over, and includes a 200m2 heated pool, slide, a paddling pool for children and a jacuzzi, with free sauna access for parents. 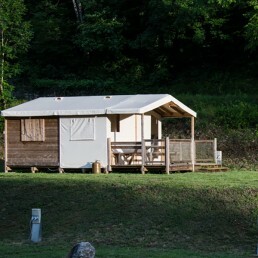 Our 4-star accomodation includes a wide range of mobil homes, cabins, guest rooms, camping pitches, and touring pitches…something for everyone ! 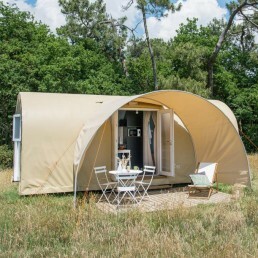 Enjoy a pleasant stay in our 4-star campsite situated in the Gorges du Tarn, in the south west of France, at the heart of Aveyron. 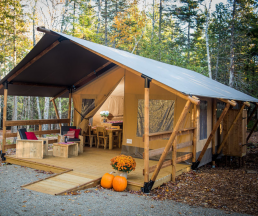 Make the most of the spectacular scenery set in a picturesque natural environment. 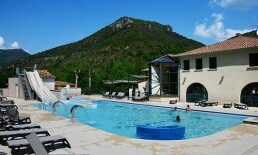 200m2 swimming pool with slide, hydromassage exercise corridor, jacuzzi and paddling pool. You’ll find everything you need on site : bread, pastries, newspapers and magazines, groceries, household products and local produce ! 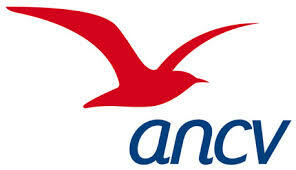 Our staff are available to answer all your questions about the campsite and the local area.